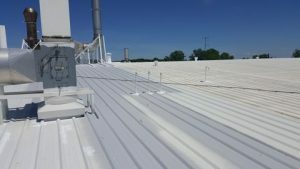 Is the roof on your commercial property starting to get old and worn out? Dynamic Alliance Roofing can provide you with new roof installations and replacements in Central Wisconsin so you won’t have to worry about your old roof letting you down when you need it most. We’ll get the installation done right and ensure your new roof is built to last. 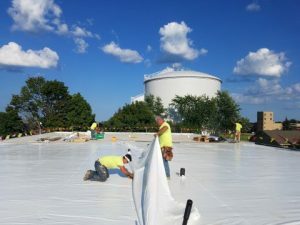 At Dynamic Alliance Roofing, we specialize in helping businesses decide whether or not it’s time to conduct roof installations and replacements. As a certified HAAG Inspector we can take a closer look at your current roof and let you know approximately how much longer it will last we can also identify potential issues and provide you with all the information you need to make informed decisions about your roof. We have helped countless clients throughout the Wisconsin with their roof installations and replacements, and we’ve made it our mission to give them the roofs they need to be successful in the long term. If you’ve been thinking about replacing the roof on your commercial & residential property, putting it off could result in interior damage costing you more in the long run. Let the team at Dynamic Alliance Roofing show you how roof installations and replacements can protect and improve your business. A new roof from us will last for years to come, increase your property value and improve the appearance of your building. To learn more about the roof installations and replacements we offer at Dynamic Alliance Roofing in Appleton at (920) 221-3330.